A coronary atherectomy is a surgical procedure used in hospitals to expand the internal area of coronary arteries that have become narrowed over time. The procedure is designed to increase the flow of blood through the affected areas in particular and the body in general. The coronary atherectomy is a medical procedure that is sometimes chosen to expand the internal areas of arteries that are partially blocked with plaque that has hardened to the point where it cannot be removed solely through an angioplasty procedure. In many situations, physicians may chose to perform both an angioplasty and a coronary atherectomy at the same time in a patient. A coronary atherectomy is a hospital procedure that is performed after relaxing the patient through a sedative and numbing the insertion area through a locally delivered anesthesia. The groin area is typically chosen for catheter insertion. The first step in the procedure is to numb the groin area through the anesthesia. The next step is to insert a medical catheter into the area and thread it through the body until it reaches the right femoral artery. After the catheter has reached the desired area, the physician then makes use of three separate catheters so he or she can obtain a view of the right and left coronary arteries in addition to the ventricular chamber in the left part of the heart. The next step is to take an X-ray or a contrast media to allow the coronary regions to be seen. This allows the physician to see exactly how blocked the arteries have become. An angiogram here will usually allow the physician to view the arteries with a high degree of precision. An angiogram is a particular kind of X-ray imaging technique. The physician then can use a guiding wire that is inserted within the catheter to reach the blocked artery. From this point on one of three kinds of atherectomy procedures will be chosen to decrease the effects of the blockage. The first kind is a rotational atherectomy. In this procedure, the plaque in the arterial walls is ground into small particles that then detach from the arterial walls and float down the arteries elsewhere into the bloodstream. This occurs until they are processed in the digestive system or filtered by the kidneys. The second kind of procedure is a directional coronary atherectomy. Here a spinning blade is used to shave down the plaque, which is then removed from the body after being collected and extracted from the catheter. The third kind of procedure is closely related and is called an extraction atherectomy. Here the plaque is ground into particles for extraction. Regardless of the specific procedure chosen, the patient is required to lie in a supine position for ten hours following the procedure. He or she must then limit activities for two days following the procedure. The primary risks of coronary atherectomy can include bleeding, damage to heart tissue, heart attacks during the procedure, strokes, blood clots, and death. Certain injuries resulting from procedures such as those mentioned in this article are caused by physician malpractice or negligence. 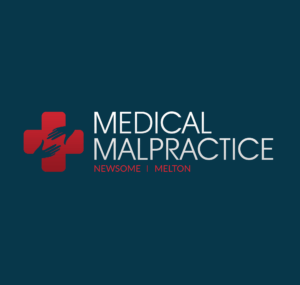 Patients who feel they are the victim of malpractice are encouraged to contact an experienced attorney to determine if these claims are valid.